Father’s day 2011 is upon us, and that means you need a great gift for dad! We have the best father’s day gifts 2011 available right now at great prices. Get something novel for your good old dad. Ill bet you are stumped at what to get your dad as a gift this fathers day and you don’t want to get him something boring that he wont appreciate or will be gone in a day. Time to go the extra mile. Take a look at the below and find out how. 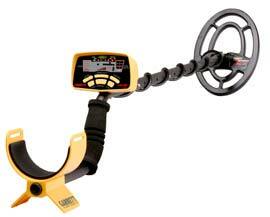 Get him a Metal Detector as a fathers day gift for 2011 now. Why a metal detector? Well if your dad loves history, the great outdoors and getting his hands dirty. Then he will have a bunch of fun hunting for treasure with a hobby metal detector. Make your dad smile this fathers day and see him have a whole new hobby not just a gift to be consumed or stuck in a cupboard. Give him a gift that goes with his lifestyle. number one – It is novel. number 2 – Its a great hobby – not just a fathers day gift. Very importantly it is available at the best prices in South Africa. We also have cheap delivery anywhere in Africa if necessary. The detectors also come with a 12 Month warranty. It goes very nicely with an outdoors, camping, park loving kinda guy! visit this link: Garrett Ace 250 Sports Pack. – Great buy for your dad. Get the detector with a bunch of cool accessories – hell be pulling old coins and rings out the earth and having a blast in no time at all! visit this link: Garrett Ace 250 – Get just the detector. Its all you need for a top hobby this season. Its got all you need at the best price in South Africa. visit this link: Garret Ace 150. – Buy the Ace 150. It comes with less bells and whistles but still does the job of treasure hunting like a charm. Getting Metal Detectors for sale South Africa has never been easier!